← Beyonce Nearly Pulled Off Stage in Brazil! 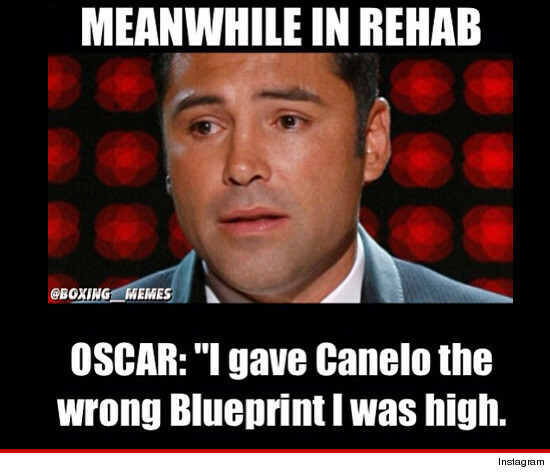 Earlier today a photo appeared on Floyd Mayweather Instagram dissin’ Oscar De La Hoya’s stint in rehab taking a BIG shot at the Golden Boy‘s substance abuse issues with the below photo. The pic is an obvious reference to Floyd’s big victory over Canelo Alvarez this weekend, which took place one day after Oscar (Canelo’s fight promoter) checked himself back into rehab for substance abuse, according to TMZ. 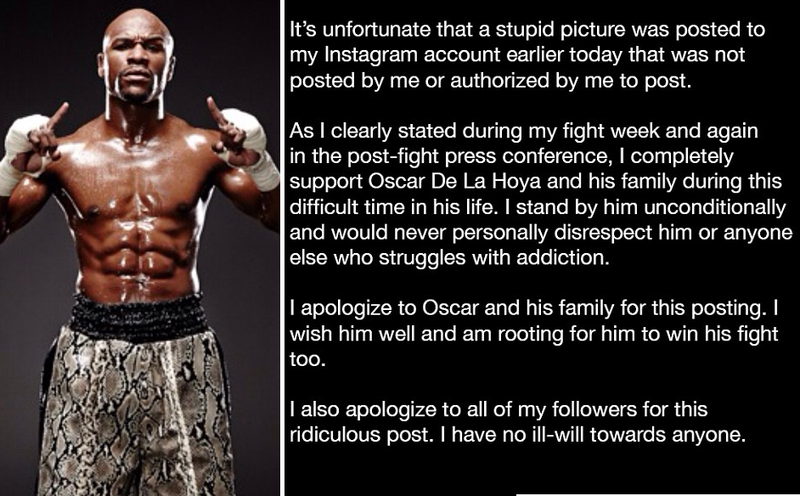 Tonight we checked back with Floyd’s Instagram and saw that the photo was removed and that he posted an apology to Oscar De La Hoya and his family claiming he was unsure who posted the photo denying any claim to the Instagram post earlier today. This entry was posted in Gossip and tagged apology, boxing, champion, diss, Floyd Mayweather, Instagram, Money Team, Oscar De La Hoya, rehab, substance abuse, TMZ. Bookmark the permalink.